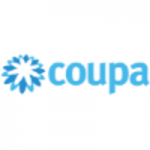 Coupa Software (NASDAQ: COUP), a leader in business spend management (BSM), has been certified as a “Great Place to Work” by the Great Place to Work organization. We deliver “Value as a Service” by helping our customers maximize their spend under management, achieve significant cost savings and drive profitability. Coupa provides a unified, cloud-based spend management platform that connects hundreds of organizations representing the Americas, EMEA, and APAC with millions of suppliers globally. The Coupa platform provides greater visibility into and control over how companies spend money. Customers – small, medium and large – have used the Coupa platform to bring billions of dollars in cumulative spend under management. Learn more at www.coupa.com . Read more on the Coupa Blog or follow @Coupa on Twitter .